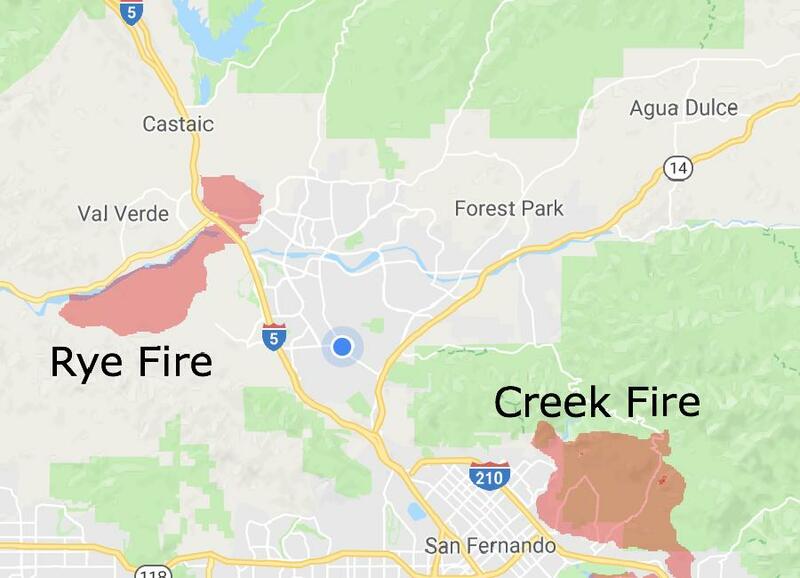 While the Thomas fire in Ventura County, CA is the largest and most destructive, several other smaller fires burned in the Los Angeles area. 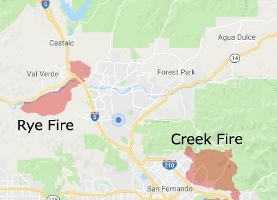 The Creek fire destroyed 123 buildings and consumed over 15,000 acres. The smaller Rye fire burned 6,000 acres and destroyed 9 structures. The image was acquired December 17, 2017, covers an area of 9.7 by 13.5 kilometers, and is located at 34.4 degrees north, 118.5 degrees west.